Photos courtesy of the Borealis Basecamp. There are certain places—show-stopping hotels, Award-winning restaurants or local dive bars, incomparable vintage shops—that are worth planning your whole trip around. 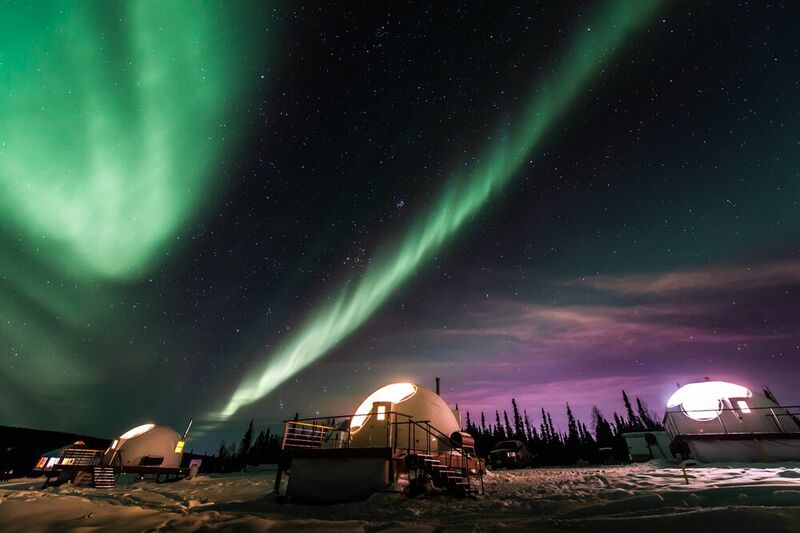 The Borealis Basecamp in Fairbanks, Alaska is one of those places. Cell signals are iffy at best, but you’ll be too enthralled to even realize you’ve become electronically untethered. Less than an hour from Fairbanks, the largest city in the Alaskan interior, Borealis Basecamp rests on nearly 100 acres of pine and spruce-filled forest. Lodgings on the property include ten one-bedroom domes that gleam in the sunlight, but it’s when the sun sets that the bulging structures truly seem to sparkle. Aurora Season runs from August 21st to April 21st in this stretch of the world. 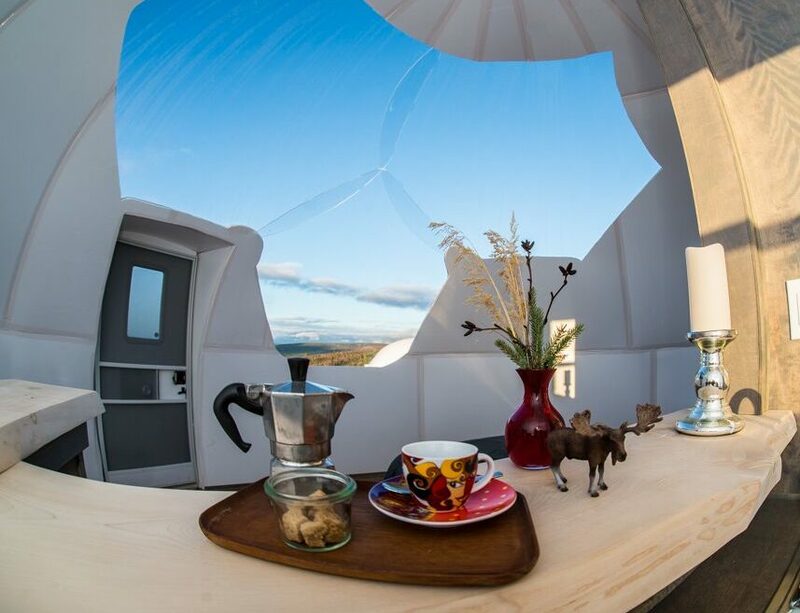 Though the domes may make the property look like a Martian landscape, it’s what happens in the sky that’s really out of this world. Every dome boasts an expansive wall of windows, precisely placed so you can watch the northern lights from the comfort of a cozy, king-sized bed. Domes 1 through 6 boast a small kitchen with sink and fridge, a full bathroom with hot shower, a small vanity, and a dry flush toilet. Domes 7 through 10 don’t have a kitchen area, but are otherwise identical. The heater keeps the space toasty warm, and electrical plugs abound to keep cameras charged and at-the-ready for when swirls of light start to dance through the Arctic sky. As you snuggle in, don’t forget to wish upon a star. On a clear night, there are millions to choose from. Aurora borealis season is August-April. Photos courtesy of the Borealis Basecamp. Photo courtesy of Frank Stelges. Room with a view. Photos courtesy of the Borealis Basecamp. 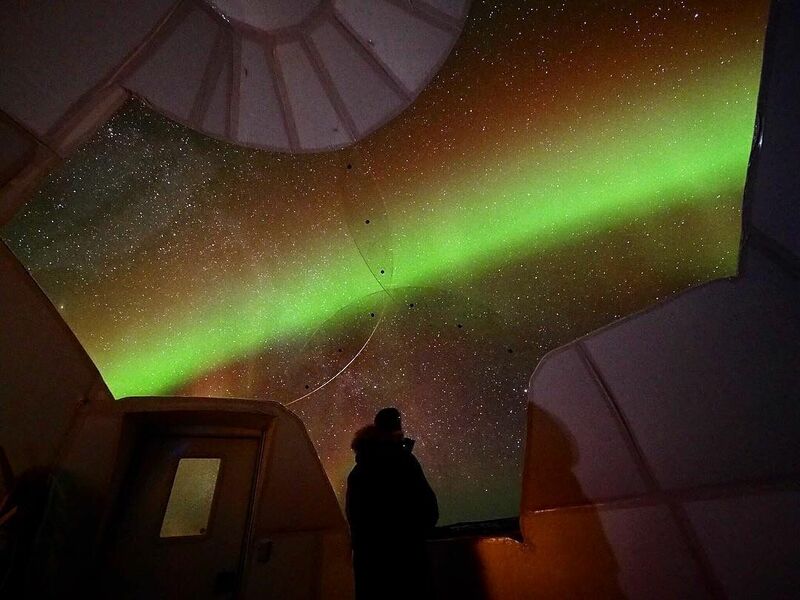 How many people do you know that have spent the night in a dome, in the middle of Alaskan boreal forest, while the northern lights danced across the sky? The rarity of this experience paired with next-level accommodations is reason enough. 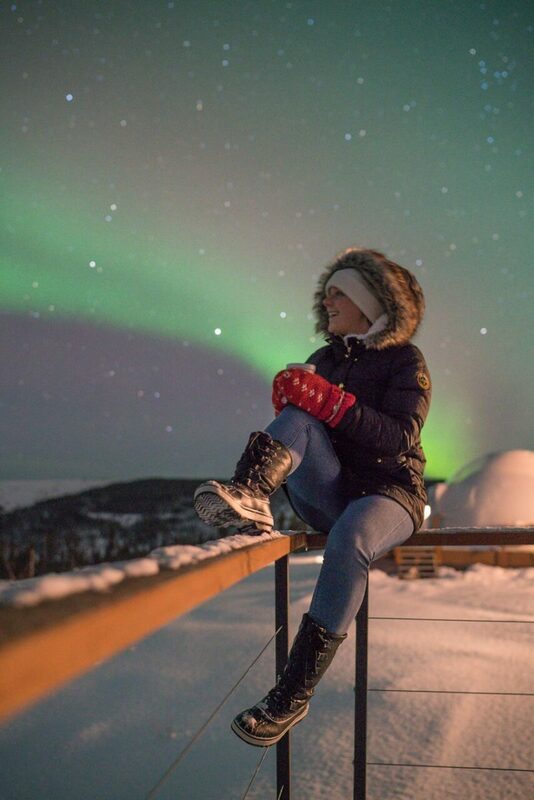 You’ve always wanted to experience the northern lights but hate the cold. Also: you’re a Tiny Home Enthusiast. There isn’t any. 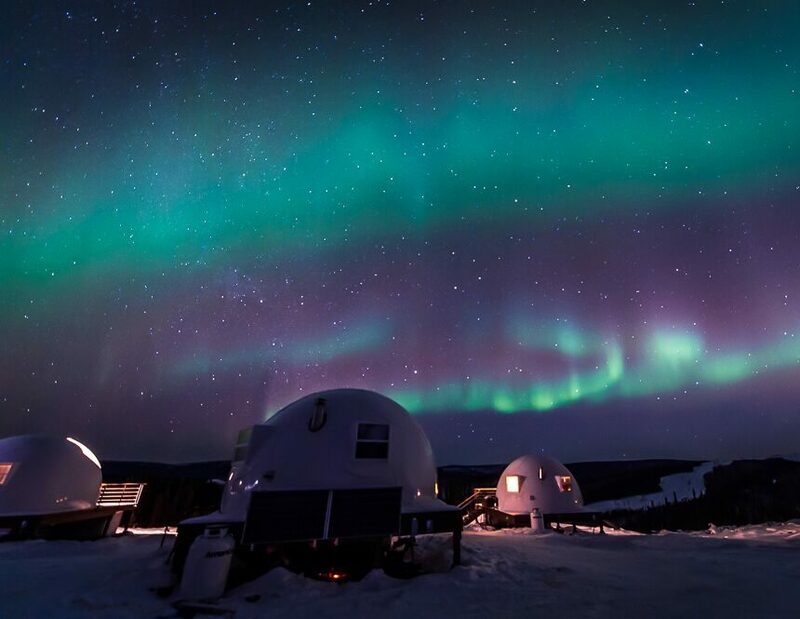 With just ten domes, it’s all about you and the northern lights. Layers. If you want to venture beyond your dome, winter weather in Fairbanks is cold, but it’s a dry cold. The right gear makes all the difference. Think options like long underwear, fleece, wool, flannel and insulated synthetic or down. Waterproof footwear is a must. It’s also not a bad idea to have pajamas you can be seen in. When the sky lights up, it’s hard to fight the urge to run outside. Domes range from $339 to $455 per night, depending on the season. Breakfast and Wi-Fi included. A two-night minimum stay is required. Shuttle service from Fairbanks runs $60 a person. Photos in low light are always tricky, but you don’t have to be a professional photographer to capture the aurora borealis. Apps like NightCap Camera only cost a couple bucks and provide pretty amazing results without needing an expensive camera. Fairbanks doesn’t hide from winter’s chill, it embraces it. Give Alaska’s state sport—dog mushing—a try. Sled rides leave right from Borealis Basecamp, and often travel along a section of the 800-mile Trans-Alaska Pipeline. 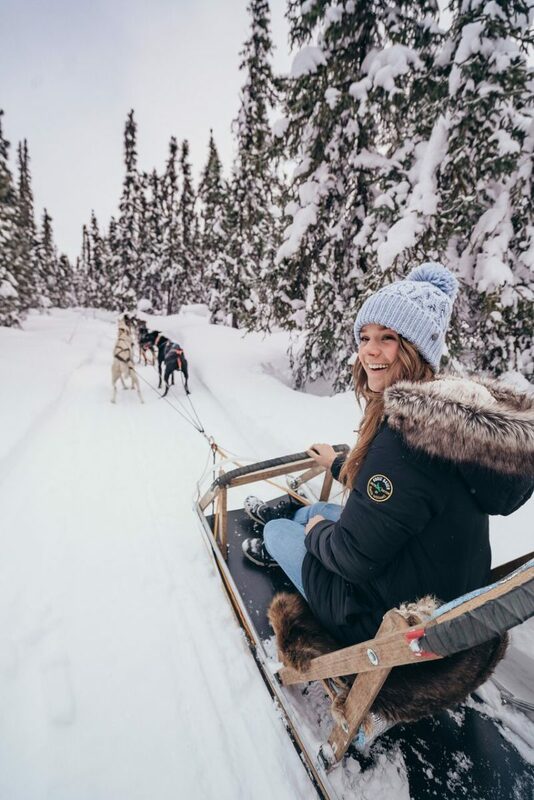 If you’d rather stretch your legs, you can stroll through the woods with reindeer at Running Reindeer Ranch. Walks last between two and three hours. Resident reindeer run free, but tend to follow along, and much like a dog, come running when their name is called. Even if you’re not a car buff, it’s worth popping into the Fountainhead Antique Auto Museum for a look at the 70 or so pre-World War II, American cars on display. You can even climb into a 1911 Everitt and snap a photo. (Only a few are believed to still exist.) Unlike many car museums, all but three vehicles run, and are ‘exercised’ regularly. 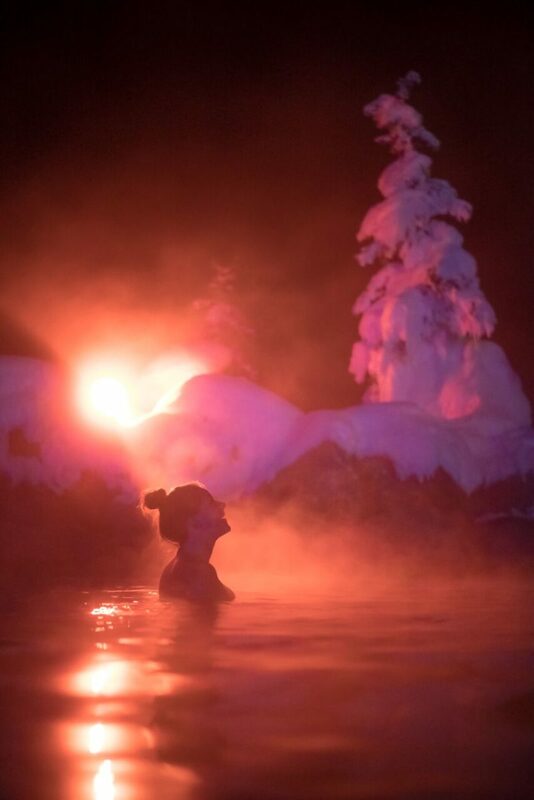 When you’re looking for a warm-up, put on your swimsuit and splash into the geothermal hot springs at Chena Hot Springs Resort. The water averages 106 degrees Fahrenheit year-round. And you might see a moose stroll by while soaking up the scenery. Dog sledding is available nearby. Photos courtesy of the Borealis Basecamp. 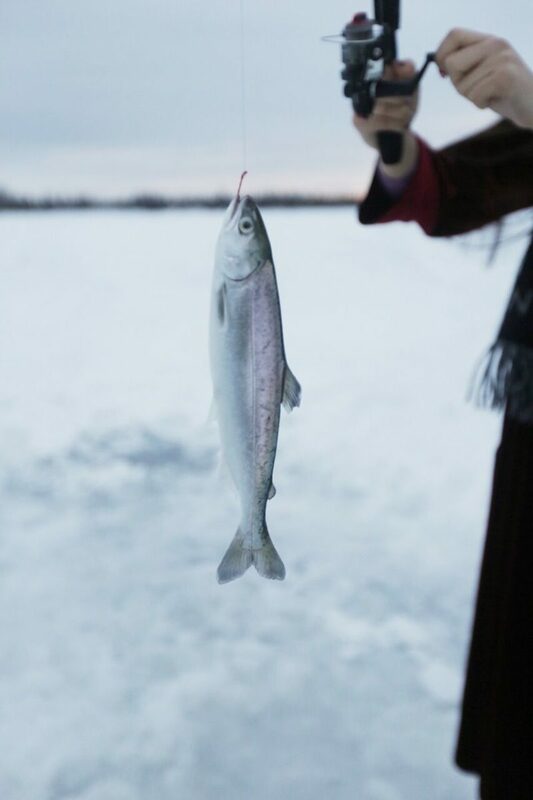 Ice fishing, too. Photos courtesy of the Borealis Basecamp. 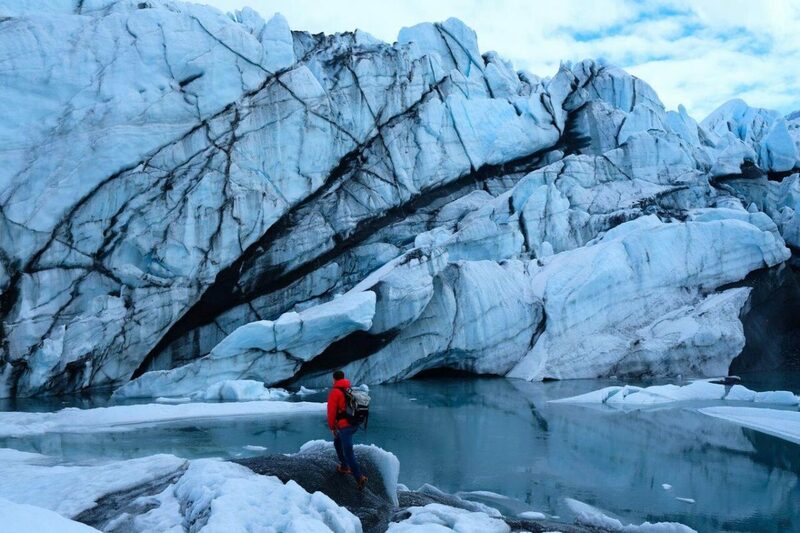 Go on a glacier trek while the sun is out. Photos courtesy of the Borealis Basecamp. Thermal baths are not to be missed. Photos courtesy of the Borealis Basecamp.